Create work orders on-the-go, get notifications when tasks are updated, and receive alerts straight on your phone when assets go down. All of your data is backed up daily and stored securely in the cloud. You can access your important information from any device, anytime, anywhere. 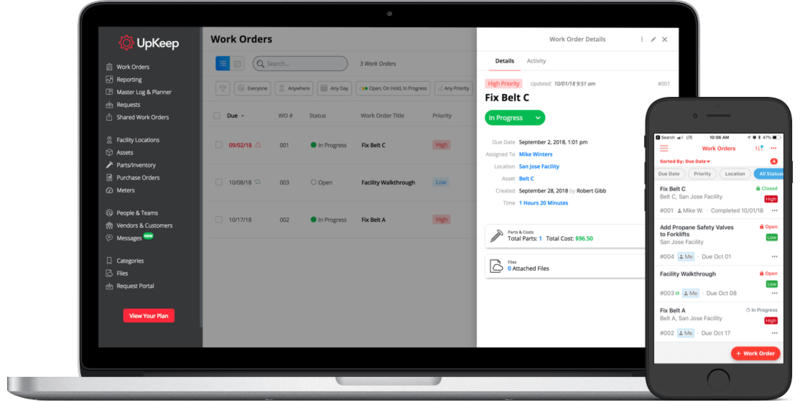 Keep track of all current and upcoming work orders at a glance.